At Foxglove, we are keen to make the distinction between education and learning; between knowledge and thinking. In the Western context, there is often great reward for education and knowledge. We can gain credibility, credentials and kudos derived from formal education. And in turn, leading to employment or the ability to generate income. But in the Developing World, post-literacy education produces far less opportunities or reward. For every position, there are innumerable potential applicants and for the most part, such jobs are never advertised or offered. Instead, those starting in poverty need to discover their own capacity and brilliance: to think, weigh up, decide and act. Capacities they have never had the knowledge or skills to consider. This sits at the heart of a ‘poverty mindset’; the lack of confidence in one’s own abilities to create a different future. But this also sits at the heart of Foxglove. We partner with indigenous organisations who see the capacity in others and have the passion to bring it out with the kind of training and sharing of knowledge that challenges old mindsets and inspires new ways of thinking. Through funding self-help groups, we are enabling women to receive training in goal setting and entrepreneurship, money and loans, decision making and conflict resolution, marketing and bookkeeping. And just when you think you’ve seen it all, they attend a workshop on innovation. Not for the large business owner but for the small single person business entrepreneur. You see every piece of training, every input or discussion, equips each woman to discover a new way of thinking. An opening up to possibilities and opportunities until she can barely believe where she has come from. I remember one young woman telling me, “Never again will we make room for poverty in our lives”. And as I heard those words, I heard a different mindset talking. One that said, “Don’t worry about us, we are well on our way.” And I believe her! 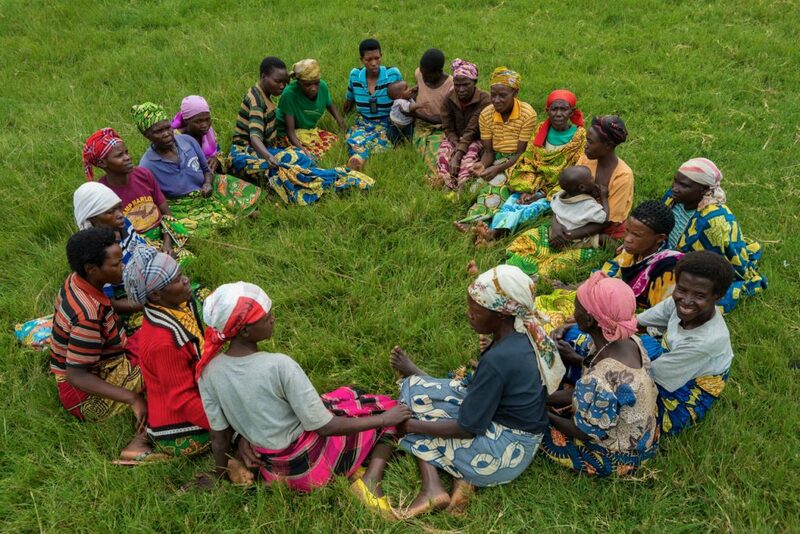 Visit our Grassroots Rwanda page to learn more about the self-help group approach.